Don Superman's cape to formal events or wherever else! 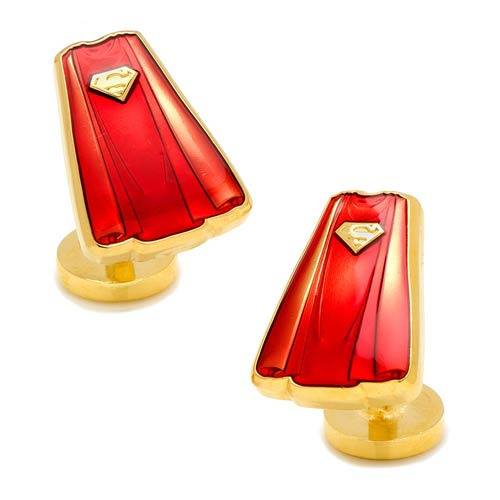 These Transparent Enamel Superman Cape Cufflinks are constructed of plated base metal and enamel, with a stand-out gold finish and fixed logo backing. Officially licensed by DC Comics. Ages 17 and up.